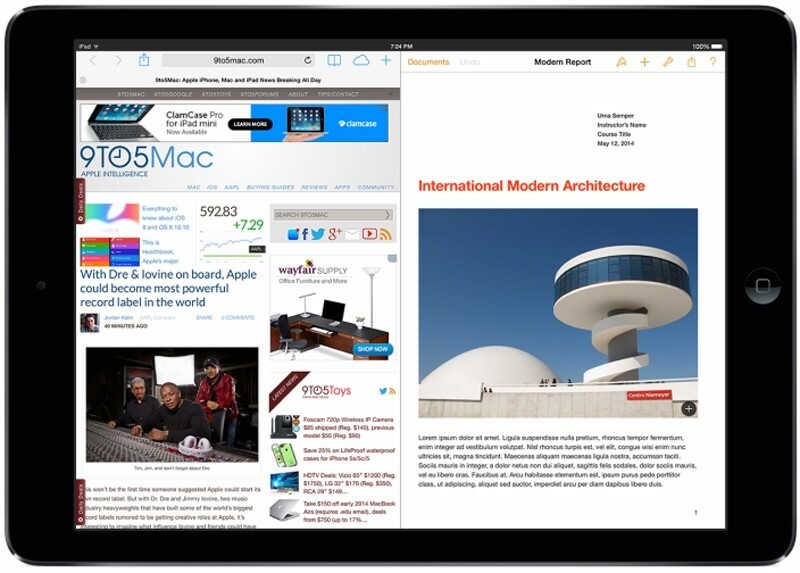 Multitasking in iOS and more specifically on the iPad has been a topic of much debate. It’s a feature that Android and Windows users have enjoyed for some time but that exclusivity may be coming to an end in the near future if the latest report from 9to5Mac proves accurate. Citing sources with knowledge of the matter, the publication claims iOS 8 will allow users to run two app on the tablet’s screen simultaneously. Up to this point, iPad users have only been able to have a single app open on screen at any given time. We’re also told that Apple’s implementation would allow for easier interaction between two open apps. For example, a user could drag content like text, images or video from one app to the other seamlessly. Sources say Apple is already working with developers to bake in such interactive capability. The addition would be a boon for Apple, especially among enterprise environments where users need to handle multiple tasks at the same time. Microsoft’s “snap” feature has proven immensely popular in this very segment and is one of the reasons that some see the Surface as a true notebook replacement. With Apple continuing to push the iPad as a serious computing device in areas like education and corporate settings, it only makes sense and leaves us wondering why it hasn’t happened sooner. We will likely hear more about iOS 8 during Apple’s annual Worldwide Developers Conference early next month.